LOS ANGELES -- Long before "Black Panther" star Chadwick Boseman's ascent to stardom, Denzel Washington did his part to pay it forward and help out an aspiring young actor. Boseman revealed in a February interview with Rolling Stone that Phylicia Rashad, one of his acting teachers, called upon her celebrity friends to donate money to help Boseman and his peers attend a prestigious and pricey acting program at Oxford University. He declined, though, to identify the donors by name during that interview. As it turns out, Washington was among the group of generous A-listers who helped fund Boseman's education, and the two recently had the chance to meet in person for the first time. "It was a fun conversation. The first thing he said was, 'You owe me money! I came to collect,'" Boseman said during the Oscars pre-show on ABC. He pledged that he would follow in Washington's footsteps and pay it forward to others when possible. 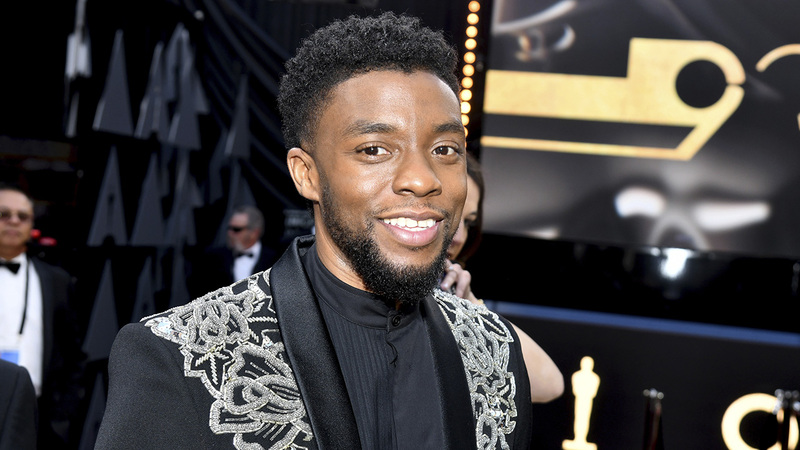 "Giving is the most selfish [selfless] thing you'll ever do," Boseman said before ending the interview with a "Wakanda forever!" salute to a cheering crowd.